Unless you have suffered from outbreaks of acne you simply won’t understand how absolutely frustrating it can be. You’re constantly watching out for what you expose your skin to and even things like diets and UV exposure can have huge impacts. Depending on how severely you suffer with this condition you can quickly end up dreading going out in public, let alone special occasions. Not only can it cause you embarrassment and low confidence, at times it can actually become very sore. In a lot of cases environmental factors and diet can be a contributing factor to a buildup oily particles in your skin’s pores. These attract bacteria which causes inflammation as your body tries to fight and react. While there are very powerful cleansers and even medicated creams available, prevention is always the best approach to take. However, you’ve probably found that many facial soaps will actually aggravate the condition. But you cannot go without washing your face as that will allow more pores to become blocked. It’s an awful catch 22 situation. The good news is that there are soaps available that are extremely gently on your skin and work to reduce the causes of acne. On this page you will find options that have proven to work, no matter what type of skin you have. Before I dig into all of the information, here’s a quick summary table of the top 3 best acne soaps products I’d recommend. Active Ingredient: Organic tea tree oil. Why You Shouldn’t Use a Regular Soap for Acne? How to Figure Out If Your Soap is Making Your Acne Worse? Bar Soap Vs Body wash: Which One is Better? What’s Your Best Acne Soap? Using an acne-fighting soap is not dumb! Perish all thoughts that suggest your hygiene has nothing to do with your acne. Choosing a right acne fighting soap is just as important as choosing a right cream, serum, or pill for treating acne. Don’t bother thinking that just by buying and using soap, you’ll be able to eradicate your acne. The development of your acne has a lot more to do with complex interplay of inner balance of your body than just using a soap topically. Don’t expect too much from a soap! Keep in mind that the best a soap can serve is to fade acne causing bacteria, eliminate pore-clogging, moisturize your skin, and keep it clean and refreshed; nothing more than that. 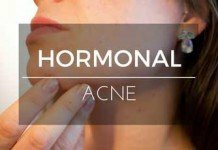 It cannot go deep inside your body to control several internal factors like hormonal imbalance, dietary deficiencies, heredity, stress, certain cosmetics (not these foundations for acne prone skin, though) etc., that are the root causes of acne. Therefore, an acne-fighting soap can only help in fading your existing lesions and can’t guarantee to prevent future breakouts. 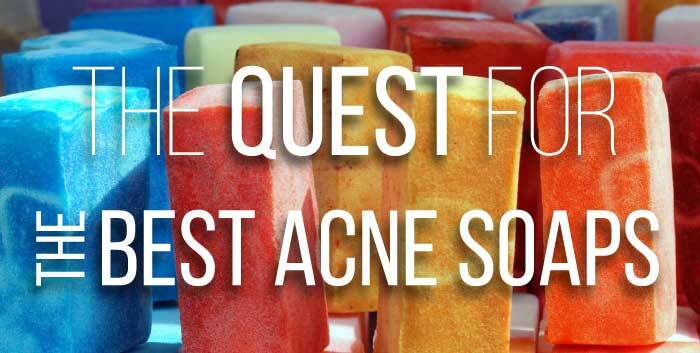 And that’s where our realistic approach to making use of acne fighting soaps comes into play. Your very first concern should be choosing a soap that suits your acne-prone skin. Below is just a brief checklist on what a good soap for acne means. It dries out existing pimples without causing excessive drying on your skin. Is non-comedogenic and does not clog your pores. It does not contain any harsh ingredients such as alcohol or other irritants. Creates a good foamy lather. Is hypoallergenic and does not irritate or cause redness to your skin. Effectively eliminates toxins and dead skin cells reducing chances of acne. Some of the above characteristics can be known from the packaging labels, but others you’ll not find unless you try one. You can never tell how your skin will respond to a certain soap unless you use it. There are numerous soaps that vanish acne but you need to find out which one works out for you. Being an acne-sufferer, your skin concerns increase. If you suffer from body acne, you should ditch normal soaps and look for options that work out for acne-prone skin. Normal soaps tend to increase acne flareups as they make your skin dry due to their alkaline pH. It lacks ingredients that can penetrate deep into your skin offering a thorough exfoliation. Unlike soaps for acne-prone skin, regular soaps do not completely unclog your pores. Regular soaps tend to cause drying which can be harmful for sensitive and dry skin. It lacks moisturizing ingredients that nourish and rejuvenate your skin. You can easily develop rash, allergies and inflammation as regular soaps aren’t always hypoallergenic and non-comedogenic. They do not balance skin’s natural pH level. If you see any flaking or scaling on the skin right after using the soap, it is a sign that it might contain some abrasive ingredients. They can likely be alcohol or parabens. Is there any tingling feeling or redness that follows after use? If yes, it is a signal that you might be using the wrong soap. If you develop minute little bumps on your body or hives, then it means that you have got an allergic reaction to any of the ingredients present. Once you’re clear that the soap has caused no reaction or side effect, only then you should continue its use. On the other hand, if it doesn’t suit you or it shows no difference in eliminating your acne, you should probably try some other soap. There are multiple bar soaps and body washes in the superstore that provide relief from acne. Both of these products are known to clean your body and remove impurities. But are there any differences? This section will give you a quick insight on how a bar soap differs from a body wash. So, let’s begin. Usually a bar soap is considered to be a little unhygienic because if it isn’t rinsed off properly, the bacteria and germs might linger on it. However, scientists claim a totally contradictory facts according to a study published in the Epidemiology and Infection Journal. It states that washing with contaminated bar is not likely to transmit bacteria. On the other hand, body washes require body sponge or wash cloth for cleansing which can become a breeding ground for different germs and microorganisms. Many people switch from bar soaps to body washes as they offer a wide range of anti-oxidant ingredients that nourish skin. And they also preserve the natural oils in the skin giving a completely moisturized effect. However, many soap manufacturers claim of the inclusion of ingredients that make your skin smooth and refreshed. So, their job is not only to clean but also to rejuvenate the skin. So, we can say that this one is a tie between bars and body washes. Bar soaps are generally easier to use as compared to a body wash. A body wash requires loofah or wash cloth whereas bars only need to be unwrapped and used. Apart from this, bars are definitely more travel-friendly as they have no chance of exploding inside your luggage bag. Typically, a soap bar lasts longer than a body wash. But in the end, the bar seems too small to be rubbed over your body. So, you can’t use it fully. However, you can totally consume the body wash by keeping the bottle upside-down to get even the minutest drop. And how can we forget the strategic rinsing that we all do by adding water in the bottle and shaking it vigorously. The price of a bar soap is usually cheaper than body washes. Anyhow, it also depends from brand to brand and product to product. And also, what benefits do they offer. If you are looking for a soap that gives more moisturizing properties then it might cost more than a body wash. If you aren’t targeting the main hideout of acne, from where it’s deployed all over your skin, using a soap topically will only put temporary patches on it. Drink lots of water – 12-14 glasses a day: Water helps to dispose of toxic waste, control calories, energize muscles, and most importantly, it promotes your skin health. Eat lots of vegetables and fruits: They’re the biggest source of essential nutrients that are responsible for your well-being. You have to keep a greater percentage of fruits and vegetables in your diet. Exercise on a regular basis: It relieves stress, promotes better sleep, controls your weight, and boosts energy. But don’t allow excessive sweat to buildup on your skin as it might clog your skin pores. Now let’s go towards the second step. This is important if you don’t already know your skin type. It’ll help you in the third step, in which you’ll begin evaluating the right soap for yourself. Thoroughly wash your face – may be with your cleanser. Leave it for an hour and avoid touching your face during this time. Now dab your face with a tissue while paying more attention to the T-area of your face. If the tissue is neither flaky nor oily, you most likely have a normal skin. A rather greasy feel will give a sign of oily skin. If the tissue seems flaky or feel taut, you have dry skin. Finally, if the tissue exhibits each of these three traits, you have the most common skin type, i.e. combination skin. Let’s head on towards the third and the last step. Misumi’s signature body wash focuses on treating the problem, rather than the symptom. 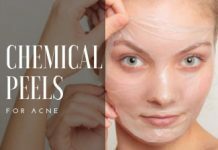 It uses a unique and powerful combination of Salicylic Acid, Glycolic Acid, and Lactic Acid to effectively unclog pores, clear your skin, and minimize redness and irritation without causing excessive dryness. Best choice by far if you want to get rid of Body Acne. Effectively clears up blemishes without drying the skin like other acne wash with Benzoyl Peroxide. Provides deep cleansing. Blemish Clear Body Wash is the most effective exfoliating body wash we’ve tested. Lactic acid hydrates and softens the skin. Stimulates collagen-building, promoting younger-looking skin. Treats and prevents future breakouts. Contains Lavender Oil which is a safe and natural ingredient for calming blemishes and controlling oily skin. 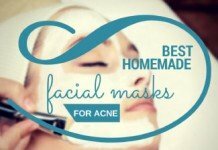 It also helps to reduce acne scarring and uneven skin tone. 100% money-back guarantee. You can try it and return it if you don’t like it. Don’t use this product if your skin is allergic to Salicylic, Glycolic, or Lactic Ingredients. The acne wash doesn’t lather. You’ll have to massage the treatment on problematic skin and rinse. Gently massage Misumi Blemish Clear Body Wash onto your face, back, shoulders & neck or other problematic areas until a lather forms. Rinse off well. Repeat Daily. If you’re looking for a soap wash that’s specially manufactured to combat stubborn acne, this product could be a great choice for you. Though it doesn’t contain salicylic acid in its mildest concentration, and it also has glycolic acid present in it, but because there’s also the addition of the soothing tea tree oil, this makes it a fair choice for even sensitive skin. Active Ingredient: Salicylic Acid (0.5%). Also contains glycolic acid and tea tree oil. A good choice if you’re looking for a soap wash to get rid of your body acne. Salicylic acid acne treatment penetrates deep into your clogged skin pores, eliminating excess oil that may be causing pore clogging. Glycolic acid helps exfoliate dead cells from your skin, while the soothing properties of tea tree oil ensure this treatment doesn’t get harsh on your skin. Folks at Exposed back all their products with a money-back guarantee. This gives an extra layer of protection if it doesn’t go your way. Just as the name suggests, it is a body wash, not one you can use to cleanse your face. Don’t go for it if you have a history of messing up with BHAs/AHAs like salicylic and glycolic acid. Gently massage over your back acne prone areas (or any area on your neck or shoulders where the breakouts are.). Rinse off well. If possible, follow up with a gentle dabbing (not rubbing) of Derm-X (included in Exposed body acne kit) cloth over these areas to remove any remains of dead skin cells. If you’re looking for a soap that fights acne effectively, as well as not containing harsh chemicals that might irritate your sensitive, acne prone skin, this soap is one of your best choices. 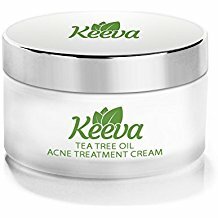 This tea tree soap from Keeva organics boasts a unique combination of anti-bacterial properties of tea tree oil to fight acne causing bacteria, along with other soothing ingredients such as aloe vera and coconut oil. All natural product, free of harsh chemicals. This makes it one of the best choices for sensitive acne prone skin. Doesn’t leave your skin excessively dry, rather it gives it a soft and clear complexion. Can help minimize severe conditions such as cystic acne. Guilt Free: No animal testing. I like when products claim they’re cruelty-free upfront, but unfortunately, this doesn’t seem to be the norm. If you’re expecting a tea tree smell out of this soap, you’ll regret. The size of the bar isn’t that big, so careful usage will be required to make it last for long. Use on face and/or body. Gently massage your face and over your back, shoulders & neck or any acne prone areas. If you are looking for a soap that doesn’t contain any harsh chemicals that might exasperate your sensitive skin and battles with acne effectively, then Christina Moss Naturals Organic Body Soap is one of your best picks. Best for: All skin types. If you have sensitive skin, then this is the right choice for you. If you have sensitive skin and are looking for an all natural product, free of harsh chemicals, then this is a good choice for you. It doesn’t leave your skin excessively dry, rather it gives you a soft and clear skin. Guilt Free: No animal testing. Christina Moss products claim they’re cruelty-free upfront. All Christina Moss products are made with 100% natural organic ingredients. If you suffer from allergies to any of the natural ingredients labeled, don’t use it. Fairly Expensive. The size of the bar isn’t big, careful usage is required to make it last for long. Not to be used as your facial bar exclusively. It is best used under a shower to tackle body acne. If you’ve ever been to a dermatologist, it’s probably not the first time you’ve stumbled upon Cetaphil. This is the brand most of the Derms and Pediatricians love to recommend, and rightly so. Why? Because it effectively clears your skin of excessive oil and bacteria without drying it out too much. Best For: Dry and sensitive skin. Cetaphil products are gentle enough that even a baby’s skin can tolerate it. A mother at Amazon claimed she cleared her daughter’s baby eczema with it. Moreover, I’ve also heard a guy using it as an after-shave – it’s that soothing! Active Ingredient: Triclosan 0.3% (A prominent ingredient used in most of the soaps, detergents, and surgical treatments as an anti-bacterial and anti-fungal agent.). It’s fragrance free but still smells nice! Leaves your skin with a smooth, soft, and refreshed sensation after rinsing off. Can also help with itching problems. 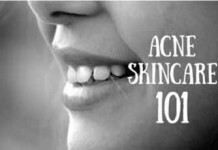 Can act as your anti-acne moisturizer. There’s also anti-bacterial version of cetaphil bar available if you’re looking for an extra strength treatment (though, its just as gentle). Can’t remove your makeup as well. It’s thick and doesn’t lather much like an ordinary soap. The bar doesn’t last long; you have to follow the best practices of using soaps. Nothing fancy, just apply to skin when bathing or washing and rinse. Sulfur is one of the most effective non-prescription acne treatments, and this soap makes full use of it. Officially, you’re required to do 1-8 weeks of trial before being able to observe improvement. Best For: Combination and oily skin. Not as gentle as Cetaphil, so not a great choice for dry and sensitive skin. But it can do wonders for oily skin! Sulfur is a mild anti-microbial. 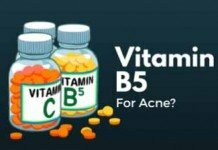 It is a known inhibitor of the growth of P.acnes (an acne causing bacteria. 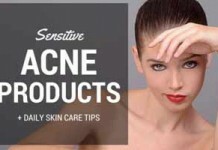 ), which is why most of the anti-acne products make use of it. The antiseptic and antibacterial properties of the soap clear your skin of excessive oils and dirt. Has lanolin so that it kind of “coats” your skin with a thin film. Smell might not inspire all. It can leave your skin a bit peeled; use a moisturizer if it does so. Wet your face (or other body parts) with lukewarm water. Leave for 10 minutes (if it doesn’t irritate.). Two washings a day are always sufficient; too much cleansing might further worsen your acne. Another dermatologist recommended soap that uses a non-medicated formula to combat skin dysfunctions like acne. Best For: Oily skin, but can be used for other skin types as well. Active Ingredients: There’s nothing like active or inactive ingredients in it, it’s a long list but there’s no BP or SA for sure. Here are the first four: Tiethanolamine, TEA Stearate, Sodium Tallowate, and Glycerin. Clears your skin of all pore clogging residues and excessive oils. 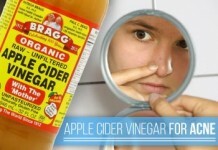 Cleanses effectively and it can easily remove your makeup (unlike cetaphil). Doesn’t dry out much but can be overly drying if used along with other treatments. Size is small when compared to others. Makes use of glycerin, which is known to promote milia – you have to be careful of that! Yet another soap loved by the skin experts all over the world. Although not as gentle as cetaphil, if I were to suggest the only soap that could effectively remove your makeup and clear your face of acne, while being gentle enough, I suspect that would be it. Best For: All skin types, even dry and sensitive skins, but a must have for oily skin. Active Ingredients: Again, no single active ingredient. Here’s the full long list though: Sodium Tallowate, Sodium Cocoate, Water, Glycerin, Fragrance, Sodium Chloride, BHT, Trisodium HEDTA, D&C Yellow 10, and D&C Orange 4. It lathers up nice and cleanses effectively. Removes dirt and oil without over-drying. Can be used as a full body soap and help clear your back acne. 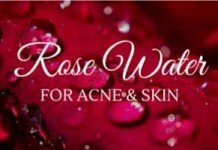 Can even help with rosacea. Effective for all; works for entire family. Scent is a bit strong. In rare cases, it can dry out your skin. Increasingly disappearing from stores but you can find them at Amazon! Wash face with the bar twice a day. Upkeep is the key to an acne-clear face; you have to continuously use it for optimum results. If you haven’t heard of the benefits of tea tree oil for acne, it’s high time you did. 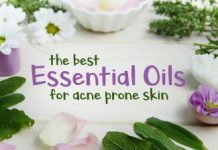 Because of its unique disinfecting and soothing properties, tea tree oil can effectively help in eliminating your acne while not causing further damage to the skin. And there’s no better option than using this soap to exploit it! Ingredients: There are several, but the prominent ones are: Shea Butter, Coconut Oil and/or Palm Oil, TheobromaCocao, Lemongrass Oil, Tea Tree Oil, Vegetable Glycerin, etc. The best part – it’s all natural. It can also help getting rid of hyperpigmentation or dark spots. Can last for two whole months if you use it twice daily. Helps to get rid of rosacea. It has mixed effects. For some people, it left their skin moisturized, and for others, it dried out their skin. If you don’t like strong scents, its smell might irritate you. You’ve heard enough about U.S. made soaps, now how about the one made in Africa? Made in Nigeria, this soap makes full use of all natural ingredients that safeguard you from all skin problems. Best For: All except very dry and sensitive skin. Ingredients: Pure Honey, Shea Butter, Osun (camwood), Palm kernel Oil, Cocoa Pod Ash, Palm Bunch Ash, Glycerin, Aloe Vera, Lime Juice and Oil, Lemon Juice and Oil, Water, and Fragrance. Can fade dark spots and stretch marks. Lathers up so well that you only need to take your wet fingers, run them over the bar a bit, then rub them together and you have enough to wash your face. It sounded crazy, but a guy had used THE SAME BAR for almost ONE YEAR. Can cause itchiness and irritation. All ingredients are natural except fragrance. Just use it as a normal soap but try not to apply the product using a cloth towel, use your own hands instead. Most of its users feel a burning sensation in the beginning, but they slowly get used to it. It’s better to use a good moisturizer after applying it. But the bottom line is, if it doesn’t respond well in the first usage, stop using it right away. Although, Clinique is more popular because of their lotions and perfumes, they also have a nice collection of soaps to help keep your skin clean and clear. Best For: All skin types as it comes with four different choices. And the one for all skin types. Ingredients: Sodium Palmate/Cocoate Palm Kernelate, Water, Petrolatum, Glycerin, Sodium Chloride, TrisodiumHedta, Titanium Dioxide, Iron Oxides, Yellow 5. Separate soaps targeting different skin types. Choose the right one according to your skin! Another soap that makes use of tea tree oil and is specially designed to gain anti-fungal and anti-bacterial benefits. Defense soap can also help eliminate acne causing bacteria and helps to keep dirt and oils away from your skin. It’s carefully manufactured to maintain skin friendly pH, which helps even your skin tone. Best For: Not recommended for dry and sensitive skin but if you use a moisturizer afterwards, you’re good to go. Active Ingredients: Active-tea tree oil, eucalyptus leaf oil. It’s a pricey product but lasts for a long time and that’s why it’s totally worth it. Can help with clearing up skin rashes. 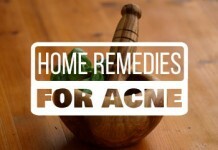 Can’t just help with acne, but with other diseases like ringworm, and can even help with fungal infection. Can also help with treating jock itch. The tea tree oil makes it an anti-fungal agent. If you have a lot of skin to skin contact or sweat a lot, buy yourself some defense soap. The smell of Tea Tree Oil and Eucalyptus Oil might irritate you. Might not work well with eczema. Don’t bother to pay more for defense body soap in search of a better effect. Both defense soap and defense body soap have same effects. Doesn’t lather up nicely, but has super rinsing action – great for deep cleansing. It’s better to use it with a sponge or with gentle scrubbing in circular motions. When it comes to body wash, Tree To Tub is hands down the winner, especially for those who prefer a gentle, organic clean. Their signature ingredient, the soapberry, creates a creamy, luxurious lather that’s naturally pH balanced, anti-inflammatory, and antibacterial. It gently keeps your protective barrier intact, preventing breakouts. With organic cucumber, aloe vera, and chamomile, the wash leaves your skin smooth and calm. Best For: Dry, oily, combination, sensitive skin, acne or allergy prone skin. Feels clean after wash. Does not leave oily residue, and no feeling of tightness. Great for not only acne prone skin, but also normal and other sensitive skin types. Comes in Awakening Peppermint for a refreshing morning, Relaxing Lavender for the nighttime, and Raw Unscented if you skin is very sensitive. The brand only uses essential oils instead of artificial fragrance, so no allergic reactions. Comes in a beautiful care box and a few raw soapberries (which could also be used as a face wash). It’s the only product on the list that’s organic, vegan, cruelty free, eco-friendly,and dermatologist recommended. Just like their facial cleanser, the body wash is more liquid than usual too. So make sure you don’t squeeze out too much. The bottle cap is not designed very well for its liquid consistency. Be careful to not apply too much pressure. X-Out is always one of the top picks when it comes to finding an acne treatment that works fast. And the strong 8.5% benzoyl peroxide acne treatment is the main reason behind it. This acne treatment system, developed by one of the most prestigious brands in the industry, Proactiv, is targeted towards teenage acne treatment. The simple 1-step formula is designed to work out the hectically energetic lifestyle of the youngsters, but it can also work for elder age groups. Best For: Oily, acne prone skin. 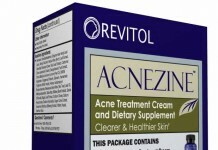 Strong benzoyl peroxide acne treatment can help fight even severe forms of acne. 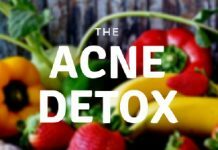 A simple, 1-step acne treatment system. Claims to get rid of your acne fast. Can also work as as acne spot treatment if need to quickly get rid of a zit before an outing, date, or party. Second most important issue is with the payment. Whichever package you order, you keep getting billed for a new product delivery every month – until you cancel. So, pay attention when and when not you need to cancel its subscription. Keep it far away from fabrics as it bleaches everything it touches! Since it contains a strong acne medication, its recommend, even for non-sensitive skin types, to start using it as a spot treatment. If you see positive results, you can use it as your cleanser to get maximum impact. Follow all additional instructions on the package. Bamboo Charcoal Soap is an all-natural formula that targets oily acne-prone skin. With minimal ingredients this soap claims to clear out your acne within a month. Prevents break outs by removing toxins and excess oil accumulated on your skin without drying your skin. Clears out stubborn blackheads efficiently due to the extracting power of bamboo Charcoal. Only comprises of a few ingredients that make your skin feel clean and soft. It is free from fillers and fragrances and does not make your skin greasy or dry. Lasts long and does not need to be used every day. You can use alternately if you do not have severe acne. Suitable for use on the whole-body including face, chest and back. Also helps skin conditions such as psoriasis and eczema. Has a slight unpleasant scent of charcoal which might be bothersome, but not necessarily. It can be a bit messy to use due to the presence of Bamboo Charcoal. Bamboo Charcoal has strong tendency to stain white tubs and tiles. Needs to be followed by a moisturizer. Can cause allergic reaction to extremely dry and sensitive skin. Form a rich lather and gently scrub for 15-20 seconds. Braunfels Labs Soap is specifically designed using Sulfur as its main ingredient. Due to the drying property of Sulfur, this soap dries your existing pimples and keep future blemishes at bay. Active Ingredients: 10% Sulfur. 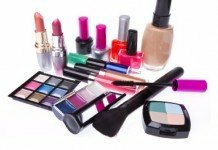 Other inactive ingredients include Salicylic acid, Titanium dioxide, Saponified Palm and Palm Kernel Oils, Glycerin, Lanolin, Cocamide DEA and Ethanol. High concentration of Sulfur prevents breakouts by eliminating acne-causing bacteria. Due to its plant-based formula, this soap dries out pimples and blemishes in no time. Has Salicylic acid that helps unclog pores by shedding dead skin cells. Glycerin maintains the moisture level of skin and also neutralizes the strong concentration of sulfur that can be drying. It is free from artificial fragrances and parabens. 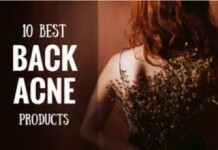 Also provides relief to those suffering from itchy skin, mites, rosacea and eczema. Leaves your skin feeling tighter than usual due to closing your pores. Has an overpowering sulfur scent. Can cause excessive dryness on dry and sensitive skin. Activate soap bar in warm water for 20 seconds. Create a good lather and rub on your skin. Wash your skin with cold water. Dial Acne Control Soap gives you a long-lasting deodorant protection due to its anti-bacterial property. The manufacturers claim that this soap has proven to clear your skin within 3 days. Gives you a salicylic acid treatment that lets you get rid of your acne quickly. Provides anti-bacterial protection which kills bacteria thriving in your pores. Due to the presence of glycerin it removes all the impurities and excessive oil without making your skin dry. Is rich in anti-oxidants that nourish your skin. Creates a good nice foamy lather. Is free from alcohol and parabens. Has added fragrance that might be abrasive for sensitive skin. Might leave a waxy film on your skin if you have extremely oily skin. Since the size of this soap bar is smaller than others on the list, it does not last long. Create a lather and rub on your skin. Wash off with plenty of water. 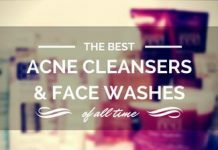 If you think there should be some more worthwhile names added to this list of best acne soaps, you can mention it in the comments below! Hypoallergenic means LESS likely to cause a breakout due to less or no allergens being used in a product. It is NOT a CON. Pretty much all of these options are very gentle products, which is exactly what any dermatologist will tell you to switch to when trying to rid your face of acne. This really should have skipped the editor’s eye. Rectified now, however. Thanks a lot for pointing out! You should better visit your local chemist for that. Pears Transparent soap should make this list. That soap clears up pimples and prevents future breakouts. I’d surely look into it, Keji. Thanks a ton for letting me know about it! my dad suffers from such ailment. Please what can we do to remedy it? Sorry for getting back to you late. 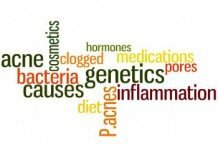 Yes, heredity or genetics does play an important role in the in development of eczema. And if that’s the case, there’s very little you can do about it. However, nothing’s beyond cure today. I’d recommend seeing your Derm ASAP if your eczema is severe. Additionally, this page gives a good precise overview of eczema, it’s symptoms and treatments. Kelvin have you tried eliminating dairy from your diet? My niece had terrible eczema and found dairy to be the cause of it. Try avoiding dairy for two weeks and see if that makes a difference in your skin. Good Luck. All 10 of these soaps I’ve listed here are known for their effectiveness against acne and its aftereffects (like acne scars). Just choose any of these that suits your skin type. in the list of effective soap you have given, which of them are the best for an mild oily skin and seldom pimples over time? It’s hard to find the best fit in the first try. You will need to try out a couple of soaps to determine which one works best for your skin. However, for a mild oily acne prone skin, Purpose Gentle Cleansing Bar or Neutrogena Transparent bar are good choices to start with. Is Aveeno only for face treatment? Cant it be used as normal bathing soap for the body? It is primarily a deep facial cleansing soap. But sure enough you can try using it as a body soap. Defense and Grisis Sulfur soap seem to have good results for this purpose. Sure, you can try them out if you wish. Unless you have a very sensitive skin, their anti-bacterial properties might yield some positive effects on your acne. Comment:what about this common soaps like dettol? I haven’t really used it in this context Grace. But since it’s an anti-bacterial soap, we can guess that it may help fading some blemishes by fighting P.acne bacteria. Yes, even Cetaphil can get messy at times. This boils down to the fact that it’s hard to tell whether a product will perfectly suit your skin, because all skins aren’t made the same. What we can do, however, is to make some educated guesses, and keep trying time tested products until we find the perfect fit. 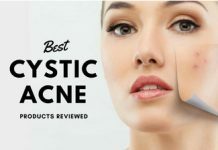 i suffered acne problems for how many years..and i tried using many acne soaps but sad to say it doesn’t work..and i have oil skin also…please help me determine which soaps/soap suitable for my skin…thank u..
Have you tried any soap from this list? Comment:I’m suffered melazma.which is appropriate for me.my skin oily. I’ve tried the dudu osun soap cos its one readily available in my country Nigeria and it really didn’t work for Me and made me get darker, is there any other soap available in Nigeria that is very effective for acne? Aveeno has discontinued it’s Clear Complexion Cleansing Bar, much to my dismay since I’ve used if for the last 20+ years. It was terrific. Now you only find it on eBay at prices like $39.95 a bar! Please consult with a Dermatologist mate for the best treatment possible. I have a little oily skin, as well as sensitive. After about 2 hours after I take a shower my skin dries up. I am thinking about using the Purpose soap. Would this be a wise decision or would you recommend a different soap? Also I plan on using the soap for my bacne and this soap will replace my current Dove body-wash just FYI. I’d say, Cetaphil gentle cleansing bar is a better option for skin like yours. I advice you to also get in touch with your Derm to find out the perfect match for your skin. 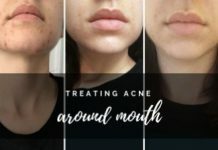 I’d highly recommend you check out this post on our blog – it covers the best options for coping acne condition like yours. i always have probem when apply cream and oil on my face so what are the remedies for it. Hi,Sheikh, Please Can You Tell Me Creams That Fade Away Dark Spots On The Face. hi, i hv more sports and skin rashes on my face, what can i do to remove faster. Thanks for recommending these soaps for removing acne completely from the face. My daughter is also suffering from serious acne problems and no medicine seems working. Some people advised that it is an effect of age and it will go away after some time…… but it is really too irritating. What about Good life acne soap. I’m trying to find another bar of a soap that worked well for me, but I can’t remember what the name of it is. It’s kind of like Neutrogena – partially transparent, and more or less amber. But I’m almost positive it wasn’t Neutrogena. (I faintly remember that it may have had the word Doctor in the name.) Can you think of any soaps that fit that description? Thanks. I have bad body ache , arms, back, tummy and upper legs. What is a good soap to use? We have a dedicated guide tailored to your situation. Check it out here. Went to derma for the first time, made my face worst now since the first time I went. Now i am trying the essential oils and it seems working… Now can you tell me which of these you have listed best to my skin. When I have given anti biotics abd tooucals, my face got swollen. Derma said to stopped and tried different one, its so frustrating doing a trial and error on my face. What can you recommend for anti bacterial face wash.
Sheikh, I am wondering if you know why it has become so difficult to find benzoyl peroxide bar soap. I have used the pan oxyl brand for years and that disappeared, then I found a couple other brands and those are impossible to find now too. Do you know of one that is still manufactured and do you know why these have been discontinued? Wat do I use to stop scratching my body and remove the dark sports in it? Hi, I am Jane, I’ve suffered from dark spots and pimples for a long time, please help! Is crusader soap good for oily and pimples face? 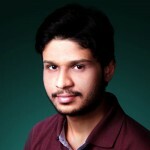 My problem is coming acne and dark spots so how to clear my dark spots then which product use in acne? Tell me, how could I come to know what sort of skin do I passes. Is there any simple experiment to be aware it?? Hi, I have dry skin acne for long time Please suggest me a good soap. Can I use pure soap for whiteheads? Do you mean your regular soap? 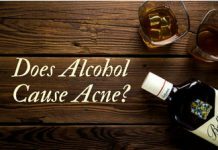 If yes, you may continue using it if it’s not aggravating your acne. These soaps are preferred choice if you want to keep your face clean and also keep your acne at bay. Hi Sheikh..thanks for the list of soaps for acne..kindly give us a list for acne moisturisers too.i hv suffered acne fr 5years.pls help.